Focus and commitment topped the list of priorities at the State of the Community address on Monday, broad topics encapsulating everything from housing in the city and county, to boosting enrollment at the University of Montana. 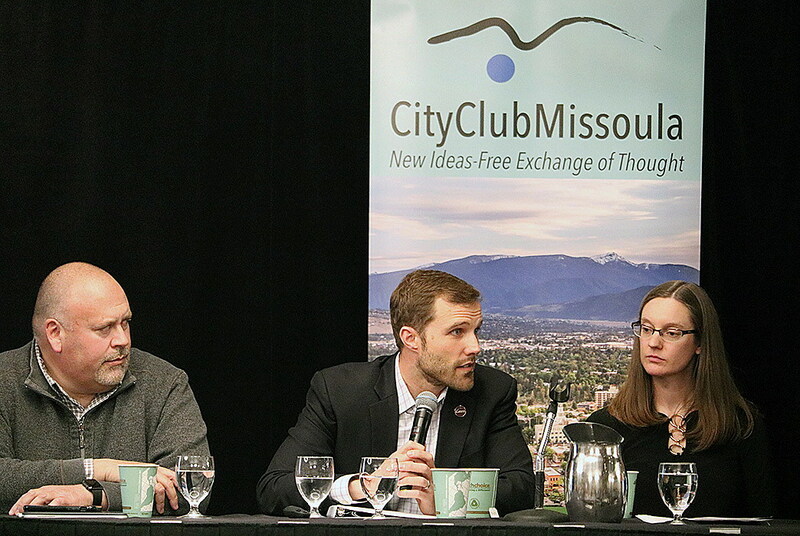 Hosted by City Club Missoula, the annual event included Mayor John Engen, Commissioner Cola Rowley and UM President Seth Bodnar. And while each civic leader touched on various points, finding innovative solutions to current and future challenges ran as a common theme. Engen touched on a number of successes where the city’s intentionality came to bear in recent years, from developing more student housing – a need identified as early as 2013 – to the launch of Missoula Water. Aided by the city’s quality of life and educated workforce, Missoula also has made strides in attracting jobs through a burgeoning tech sector. That’s been a product of economic planning and selling what the city has to offer businesses, Engen said. That aside, Engen also acknowledged lingering challenges, including climate change, equity, homelessness and affordable housing. The latter issue emerged at several points through this year’s event. The city is expected to unveil its first-ever housing policy in the coming weeks. “We believe the policies we’ll be trotting out for community consideration will make some things easier within Missoula city limits, and with any luck, some of those policies will be applicable to Missoula County, and something they can consider as part of their codification,” Engen said. Rowley, chair of the Missoula County Board of Commissioners, also touched on housing, saying several efforts are underway to address the issue. Among them, the county has updated its zoning and subdivision regulations, and it will continue to do so once the new policy is released. Rowley identified land-use planning, redeveloping the fairgrounds and reforming the criminal justice system as among the county’s top priorities over the next year. The county is expected to hold its first hearing on its Missoula area mapping project this week. The new map is intended to guide future growth and better gel with policies in place at the city. 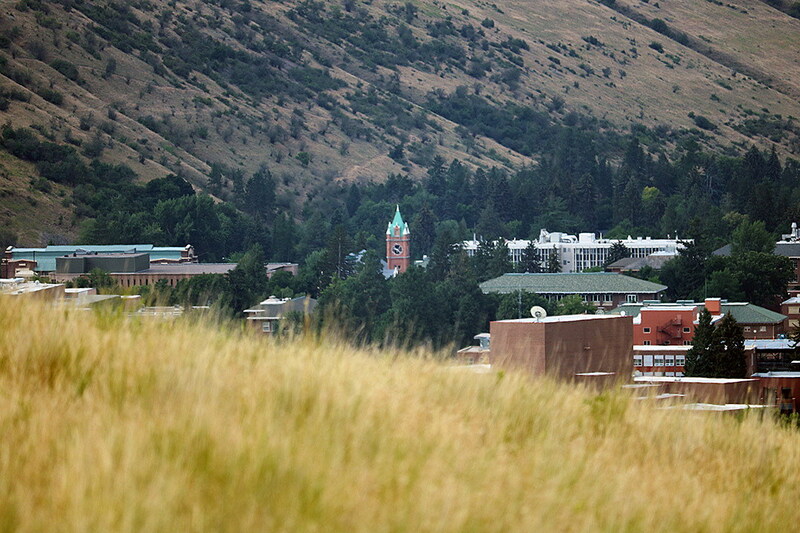 While the city and county look to planning, housing and economic development, the University of Montana remains committed to its own goals. More than a year removed from his inauguration as president, Seth Bodnar remains emboldened by the school’s new direction. He expressed optimism on Monday, though time will be needed to let the school’s new priorities take effect. In addressing the challenges, Bodnar said the university will remain focused on five key priorities, including student success and innovation. Most of those policies were unveiled last year, and while distractions arise from time to time, Bodnar said, the school will retain its focus. That includes growing the school’s enrollment beyond where it currently stands. The school’s enrollment has steadily declined over the past 10 years, hitting its lowest point in several decades. That’s occurred while enrollment at Montana State University has surged. Bodnar said he expects the numbers to begin growing again, though it won’t happen overnight. As the school comes into alignment, he said, it will also emerge more financially stable. That will help lay the groundwork for the rebuilding to come.